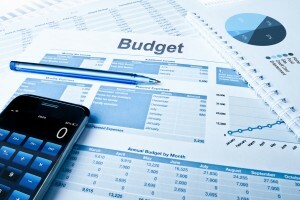 Many finance chiefs are searching for ways to plan that go beyond the annual budget. Murray’s comment came in the context of his reminiscence of a time when he couldn’t order a needed truck if it hadn’t been planned for in the context of a yearly budget. Operating on the basis of that iron-clad document, in short, provided no flexibility to adjust to changing conditions as the year evolved. Now, the Napa Recycling CFO finds functioning according to a 24-month rolling forecast a much more amenable task. Similarly, Jeff Bornstein, the finance chief of General Electric, finds that annual budgets don’t quite fit the needs of a company attempting to plant a stake in the ground in a brand-new field. In developing the software platform GE needs to gain an advantage in the nascent industrial internet, the company, of necessity, has only a skeletal plan to guide it this year. “This space moves so quickly. We came into the year with an outline. We knew where we wanted to be at the end the year. We had a definition of what we thought success looked like,” says Bornstein. How to incorporate the need for flexibility with the longstanding need for structure in budgeting? Every year, “thousands of company hours are allocated to the annual budgeting process, during which strategies are defined, plans are presented, and goals are approved,” acknowledges author Frank R. Hopson. And yet despite all that effort, an average of 19% of the S&P 500 companies failed to beat their cost-of-capital hurdles. Why? Once annual budgets are finished and costs are allocated, “managers typically go back out to the field and continue to do what they did before,” Hopson writes. In a similar vein, Mary Driscoll finds that measuring corporate performance against annual budgets enforces a rigidity that curtails productivity. “Let’s assume that a given group of capable managers is sincerely working hard to drive growth. If a set of monthly targets is glowing red, don’t let the meeting get stuck on the budget … which merely says the horses have left the barn,” she writes. Budgets for business travel are one such tough area to nail down accurately — like trying to nail jello to the wall. And costs for business travel are so much more than the hard costs of transportation/hotel.